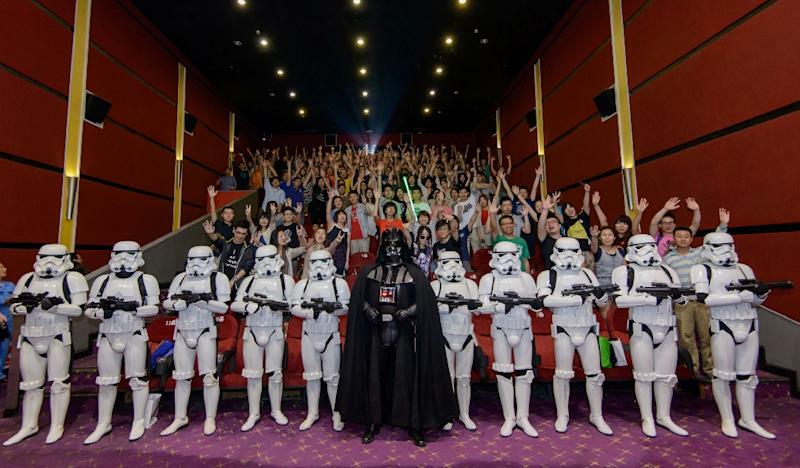 China has become one with the Force by showing the original "Star Wars" film at cinemas for the first time, nearly four decades after it became a global hit and cornerstone of Western popular culture. 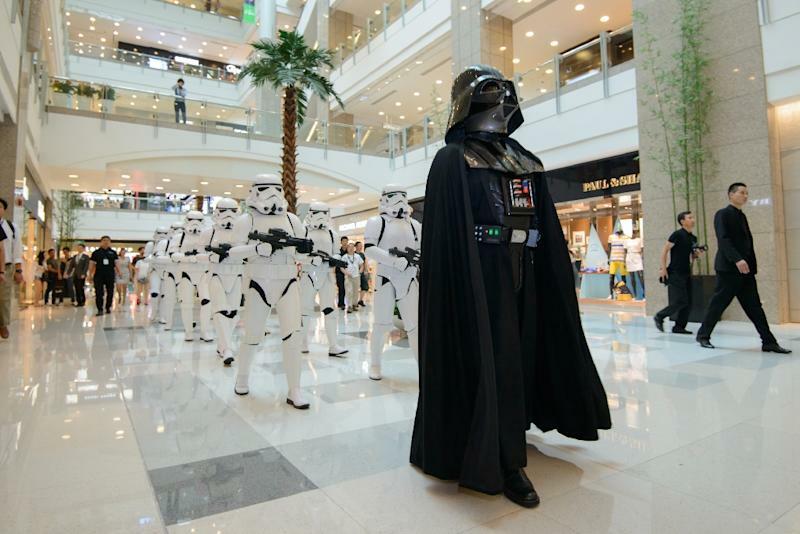 The Shanghai International Film Festival is showing all six "Star Wars" films this week, including the first screenings in mainland Chinese theatres of the original trilogy, festival organisers said. There are no plans for nationwide release. In 1977 as foreign audiences followed the adventures of Luke Skywalker, Han Solo and Princess Leia "a long time ago in a galaxy far, far away", China had just emerged from the chaotic Cultural Revolution and had yet to launch economic reforms which would transform the Communist-ruled country. Tuesday was the first showing through the film festival of "A New Hope" -- made first but ultimately the fourth film in the series -- though hard-core fans were treated to a specially arranged screening of the original trilogy shown back-to-back on Sunday. At a central cinema, the Tuesday show was nearly sold out. The Star Wars theme song played in the lobby as the young crowd entered, one man wearing a C-3PO T-shirt and a woman sporting white storm troopers on her black shirt. Sales assistant Joy Han took a day off to see the film, even though she has seen all six through illegal downloads and pirated copies. The six-DVD box set sells for around $12 in the Chinese commercial city. "It looks better on the big screen," she told AFP. "This is the first time for China." Some audience members said they were more familiar with the newer, prequel films: "The Phantom Menace", "Attack of the Clones" and "Revenge of the Sith" than with the original three films -- "Star Wars", "The Empire Strikes Back" and "Return of the Jedi". US studio Walt Disney hopes the screenings will prepare the Chinese audience for the seventh episode in the series, due for release later this year. "This will be the first-ever theatrical screening of the original trilogy in China," Kerwin Lo, vice president and general manager of Walt Disney Studios China, told AFP before the films showed. "The huge buzz and excitement generated is going to be great for the Star Wars franchise and the upcoming 'Star Wars: The Force Awakens'," he said. On the Chinese website Douban, the original 1977 Star Wars film received a rating of 8.3 out of 10 and drew more than 35,000 comments. "We should view it with a comparative perspective," said a posting under the name T-maxdo. "In 1977, the United States already had such stunning imaginative creativity and movie special effects, while China had just ended the Cultural Revolution period and its people had just emerged from a dark era." But some Chinese viewers criticised the film for weak characters. "Although the character design is weak, the leading actress not beautiful, the leading actor not handsome and the action parts like children fighting, placed in 1977, the visual effects are amazing," said Xiaosi Buxiang on the website.